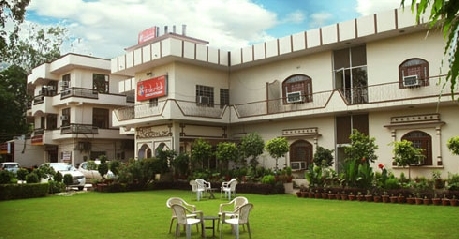 Hotel Inderlok is a business class Hotel located in the heart of city Alwar. Their commitment is to provide the best quality personalized and professional guest services and pleasant hospitality. The hotel is quite well-known for its hospitality, food and drinks. 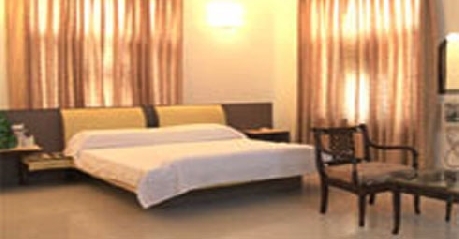 They have very clean and comfortable accommodation and has an intend intention throughout India. The hotel not only attracts the Indian but also is visited by people from abroad. The hotel is equipped with facilities to meet the needs of the visitors. They provide high standards of comfort and luxury for business and for leisure travelers. They offer features with high satisfaction at low value and high quality. These rooms are quite spacious and comfortable. There is a separate area for sitting. Other than the basic amenities they are provided with king size bed and flat screen TV. These suites are quite same in features as that of the Clark suites but differ only in space and tariff of the rooms. Features like Television, Telephone, Mineral Water, and Room Service, Air Conditioning, Wi-Fi Internet are provided. These rooms are business class rooms. The cost of staying in these rooms is quite less and the hospitality is genuine. Executive rooms are small and compact with twin/king size beds and the basic amenities they provide include television, telephone, mineral water, and room service, air conditioning, Wi-Fi Internet and a mini-bar. 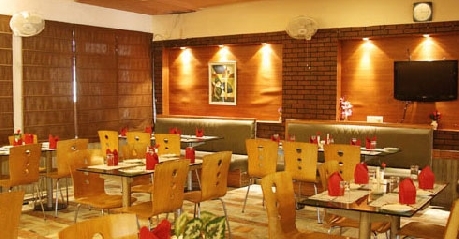 Hotel Indralok has been well known for it's tastefully designed. All the rooms are air-conditioned with the luxuries of large screen pure flat televisions with satellite channels and a modern private bath. You will get running hot and cold water all round the clock. The restaurant services of the hotel is very much appreciated by their clients and more over their attributes like soothing music, decoration, lavish set up and mouth-watering cuisine. They provide excellent services to their clients and make them experience world class delicacies. They provide vegetarian like Indian, Chinese, and Italian and is open from 10 am to 11 pm. This multi cuisine restaurant provides both vegetarian as well as non-vegetarian cuisines and has a wide range of Rajasthani cuisines. The food here is fresh and one can enjoy the authentic home cooked flavours in here.